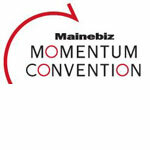 Join SymQuest for a day of networking, learning, and inspiration for the Maine business community at the 2014 Mainebiz Momentum Convention. Get first-hand experience learning how to transform your business from a fantastic lineup of business leaders, vendors and exhibitors. Highlights of the day include keynote speaker EepyBird, panel discussions with prominent Maine CEOs, and complimentary food samples from 15 delicious Maine vendors.